Wesco Plastic Box Trucks are perfect for storing wet laundry, chemicals, waste, or even small packages. 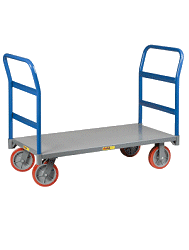 They offer one-piece seamless molded construction to assure long service life. 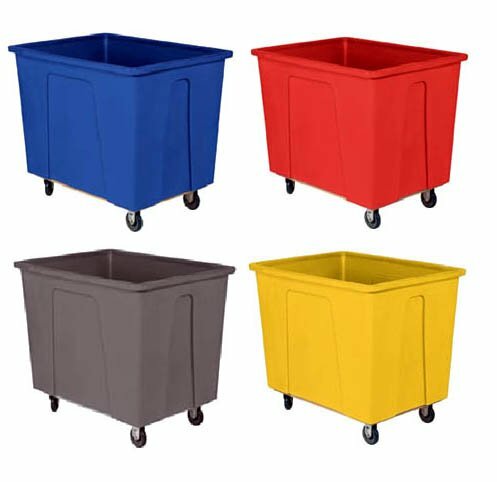 These plastic box truck carts will not rust, crack, peel, chip, or dent. 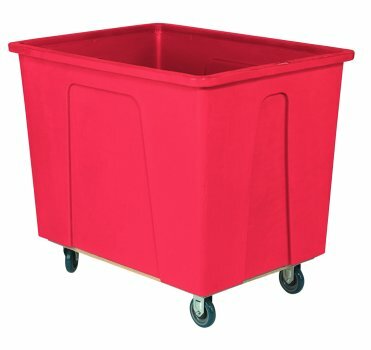 • Outside dimensions 35" H x 28" W x 38" L.
• Easy to clean molded polyethylene. • Five sizes and Four color choices available. 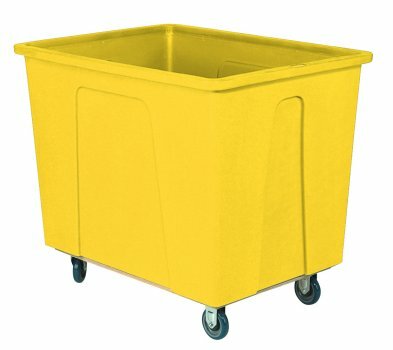 • Casters: 5" polyurethane. Two swivel, two rigid mounted on 5-Ply Plywood base for extra rigidity (except 4 bushel models). • Can ship knock down and nested on quantity orders. • Caster pattern standard or diamond. • 96 gallons. 12 bushels. 550 lbs. • Weight (tub only): 25 lbs. 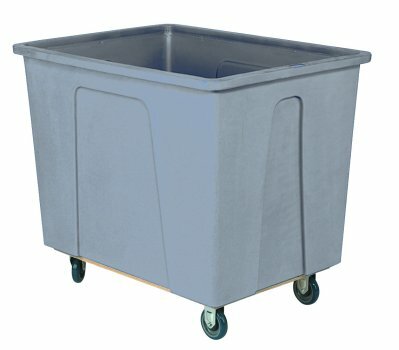 • Weight assembled tub (5" caster): 43 lbs.